Here is the latest photo of my 3d printing project. 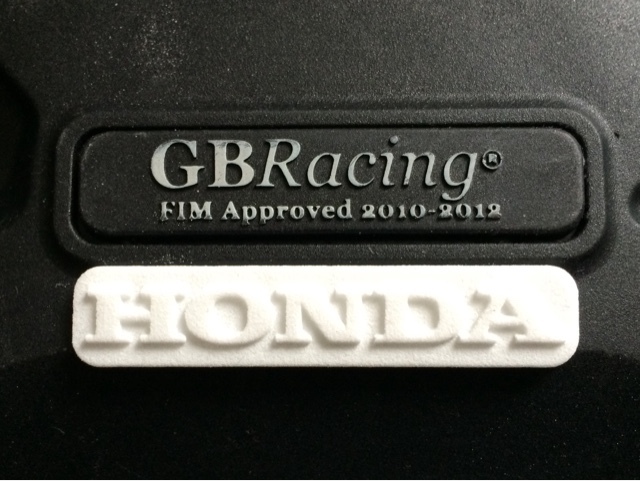 I now have a nylon version of the Honda badge used on the team protectors. As you can see it's the wrong colour but this can be resolved. It looks a good fit.